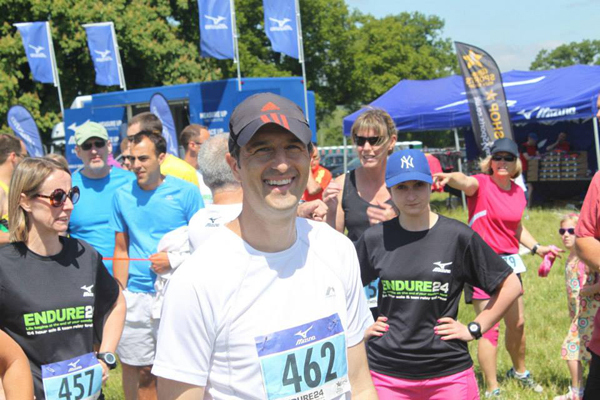 The Endure 24 is a key event in the yearly calendar for my local running club the Reading Joggers. As a club, we are aiming to have some representation in as many categories as possible from those who want to participate in a team to those who wish to take on the challenge of a pairs or solo entry. In this blog, I will look at some of the historical results for solo runners and the pair’s category and for the latter look at what strategies were undertaken. If you have some ambitions of doing well in either of these categories hopefully this will give you an idea of what you need to beat. 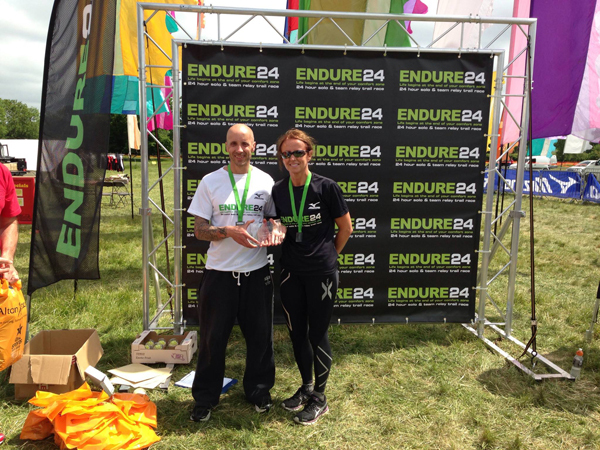 My last blog here covered a lot of information for those looking to run the Endure 24 for the first time as a solo runner. In terms of race tactics it’s pretty simple. If you want to do well then you will need to be out on your feet for the full 24 hour period continually moving around lap after lap until the end. Generally most runners pace will drop and the lap times will increase the further you get into the race but runners will need to consider their pace in the early stages of the race to ensure they have enough in the tank for the second half of the race. There’s little point trying to save 30 seconds or a minute a mile early on and blow yourself out which then costs you later in a race when a 10m/m steady jog turns into a 15m/m march or a 20m/m slow walk. Looking at the lap splits most of these generally saw the runners gradually slow over time. The only notable exception was the 2nd placed runner in 2012 that had either a break or a recovery lap at laps 7, 12 & 16. The finishing time of 21hrs 24mins is also a good example of an area where spending every minute out on the course be it running, jogging or walking could have seen this runner add to his tally of 21 laps. One notable observation is that these races do not appear to have attracted athletes of a really good standard. Whilst covering 100 miles in 24 hours is a good achievement if we compare these results to a point to point 100 mile run then the typical winning times are in the region of 16 – 17hrs. 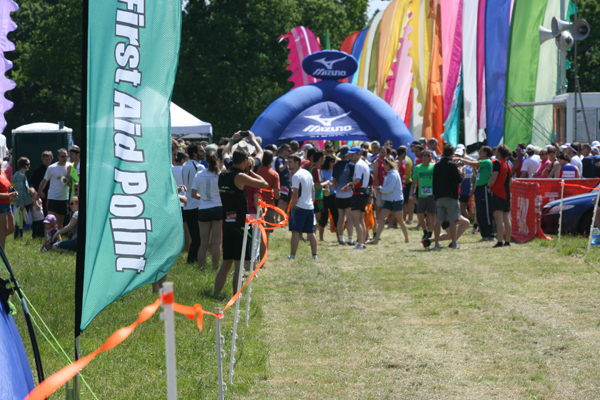 Considering the Endure 24 is run on good trail, has checkpoints every 5 miles and people are unlikely to get lost on a lapped route then this creates the potential for athletes who can finish 100-mile races in 16 hours to cover 130-140 miles+ in this sort of race. These 24 hour lapped trail events are becoming more popular with a number of new events in 2013 so perhaps we will see the standard raised, as there is greater awareness of these races. As with the male results, these generally followed a pattern with lap times gradually reducing over time with some slower laps where runners may have taken a break. The only area of note was the female winner in 2013 that appeared to have a planned break/recovery lap on laps 7, 13 or 18. Once again, the same observation is made regarding female times in 100 mile point to point races. There are runners out there who are capable of pushing the distance covered ahead of the current set of results. On the flip side perhaps that makes both the male and female solo races more interesting in that it’s pretty open with a wider range of runners having a chance to earn a win perhaps? Credit to any runner who goes out as a solo runner, it’s a tough old slog to keep going for 24 hours so regardless of the distance covered each and every person has deserved their medal. Although in 2012, one runner entered the solo category and completed just 1 lap and then stopped! (But I’m not sure of the reason why so perhaps it may have been an injury). The pairs is where it starts to get a little more interesting from a tactics perspective as the pairs need to decided how often they will switch with their partner. I have had a brief look at the top 3 results for male, mixed and female pairs. The 1st placed male pairing in 2013 adopted a strategy of 5 laps on and 5 laps off before dropping to 4 laps on and 4 laps off. This gave each runner a break of at least 3 hours between periods of running. There was some slippage in lap times when the runners were on their 3rd or 4th consecutive lap but nothing too dramatic. Both 2nd and 3rd place male pairs each followed a 1 lap on and 1 lap off tactic and again saw lap times gradually decline as the race progressed (as expected). There was only 1 female pairing in 2013 and none in 2012 and so I haven’t looked at these results, as there was no competition in this category. This does highlight the opportunity for some female runners to buddy up and make up some more competition in 2014 perhaps? In the mixed pairs category the 1st place team adopted a 1 lap on 1 lap off strategy was generally adopted. Interestingly the 1st placed mixed team actually beat the male pairs result by covering 28 laps (140 miles) in 23hrs 45mins. The second placed mixed pair started with a 1 lap on 1 lap off strategy for the first 8 laps before dropping to a 2 laps on / 2 laps off strategy. However, they also covered 28 laps (140 miles) coming ahead of the male pair but finished in a slightly slower time than 1st place. The 3rd place mixed pair adopted a 2 laps on / 2 laps off approach and covered 24 laps. A quick look at the 2012 results for the mixed pairs category saw 1st place cover 26 laps using a 3 laps on / 3 laps off strategy; 2nd place covered 25 laps using a 2 laps on / 2 laps off tactic and 3rd place covered 20 laps using a 1 lap on / 1 lap off approach. If you are aiming to do well at the pair’s category, you should be aiming to beat the previous record of 28 laps. 29 laps over a 24 hour period equates to 50 minutes per lap with an average pace of 10m/m for the 5 mile laps. This does not include the bonus lap you could cover if you managed to sneak your last lap in 23hrs 59mins and start a new one before the horn blows. The really obvious point is to make sure someone is out on the course at all times. If you partner hasn’t made an appearance at the changeover point then you should carry on for a second lap (and hope they appear for the next lap). If you stop and go looking for them then you are simply wasting time. I did witness a couple examples of this in the team categories in 2012. The real question for the pairs is how many laps do you run before swapping as a few different tactics have been employed by different teams. Practically, you are not going to stop long enough for a long sleep and runners may grab a quick power nap at best but need to remain alert enough and ready for their next turn. In addition, you need to consider how your body will react between runs. When I participated in an 8 person team in 2013 and was running a lap every 4-5 hours or so, I recall it taking me at least 2-3 miles for my legs to actually wake up during each run after a 2-3 hour sleep. Massage options are available but time may be tight here and you will also want to be eating, drinking and using the toilet in your brief down time. Personally, I would probably look to start with the 1 lap on / 1 lap off tactic as I think my pace would drop more if I ran 10-15 mile sections in one go than if I ran 5 miles, rested, then did another 5 miles for example. However, I would be flexible if myself or my partner needed an extra lap recovery. Also do not underestimate the value of a supporter or two. 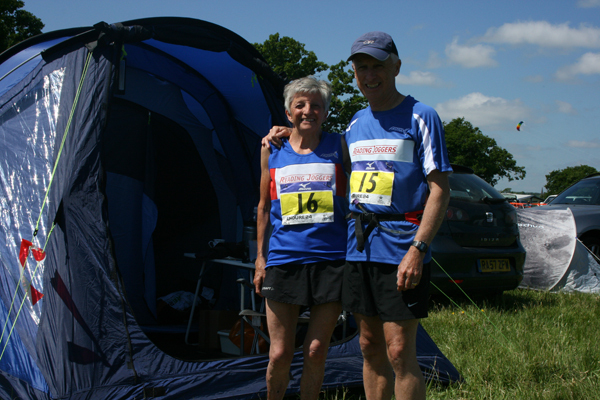 Supporters were welcome in previous years and it may be helpful to have an unofficial team member to keep the non-running person company, support the runner at the time or even just to run around and keep checking the scoreboard whilst the non-runner is getting some valuable rest. I hope you found this brief analysis useful for those who may be running solo or in a pair. I will do another blog focusing on team tactics in a few weeks for those people who are participating in a 5 people or 8-person team. and did you say medals…I didn’t want to ask … Tshirts look nice too.. I won’t be doing this as I live in the States, but definitely some good info in general when it comes to running a timed event (something I hope to do in the semi-near future…).